Ask here the availability of the rooms! 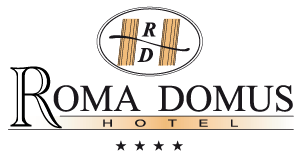 The Roma Domus Hotel is located 50 km from Rome, at the motorway exit Ponzano – Soratte on the A1 motorway Rome-Florence. At the toll booth, turn right following the directions for Ponzano Romano, and then back to the left following the signs for the town. You will find the entrance of the Hotel after 300 metres on the right. We are 2 minutes from the Soratte Outlet Shopping! The Hotel is located 5 km from the Railway Station of Stimigliano, from there you can reach Rome in 45 minutes (line FM1), with the possibility to reach the Tiburtina Station and even the Airport of Fiumicino L. da Vinci.